Mr. Kelly Bramble has more than 30 years direct experience in engineering and design (aerospace, spacecraft, energy production equipment and scientific instrumentation), and ten + years training and consulting GD&T, ASME Y14.5-2009, ASME Y14.5M-1994, ISO 1101-2004 and Design for Manufacturability. ASME Certified Senior GDTP, Certified since 1997. 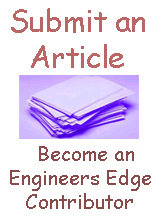 Currently, President Engineers Edge, Solutions by Design Engineering, an Internet publishing and solutions organization serving and supporting activities for over 1,800,000 engineering, design and manufacturing professionals every thirty days. Member of change review board as an dimensional engineering consultant with major aircraft company. Dimensional consultant automotive components manufacturing organization. Engineering consultant medical equipment manufacturer.